Access Bank Plc has announced the issuance of the 1st Certified corporate green bond in Africa, raising N15 billion (USD41 million). The launch ceremony was held yesterday at the FMDQ OTC Exchange. The five-year, 15.50% fixed rate bond was fully subscribed and has been awarded an Aa- rating by Agusto & Co., with underlying framework verified by PwC (UK), and certification by the Climate Bonds Initiative. The popularity of the issuance is another pointer to the potential of the Nigerian green finance market. 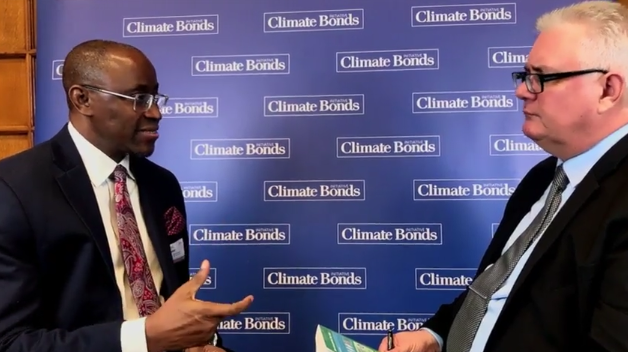 Nigeria attracted international attention in since December 2017 when it became the first nation in Africa and only the fourth nation internationally to issue a Sovereign Green Bond, raising USD29m in a Climate Bonds Certified issuance. The Access Bank issuance is the first corporate bond to benefit from the Nigerian Green Bond Market Development Programme launched in June 2018, by FMDQ, Climate Bonds Initiative and the Financial Sector Deepening Africa (FSD Africa). "Indeed, Access Bank has achieved this landmark feat, the first of its kind in Africa, and a significant step to galvanise the rest of the market. We recognise that the journey to improving climatic conditions in Africa is not one that can be achieved by one organisation. It is important that other financial and non-financial organisations buy into this vision, as only then would we achieve the critical mass that is required." “With our pace-setting experience in the mainstreaming of sustainability in our business activities and operations, we are confident that the green bonds will further help in supporting environmentally friendly investors to meet their investment objectives. It will also simultaneously support the Bank’s customers towards realising growth opportunities in a fast-developing low carbon economy”. "Access Bank are trailblazers in the Green Bond market in Africa. We commend Access Bank for leading the way in Nigeria and setting an example to corporates across the African continent. With the technical assistance of the Green Bonds Nigeria Programme, this CBI-certified Green Bond will fund climate-smart green projects in manufacturing, transport and agriculture sectors, thus helping to pave the way for Nigeria to develop into a low-carbon economy." "We’re proud to be part of this issuance as it is a solid sign to encourage green investment in Africa. It is exciting to see Access Bank promoting the local green finance agenda, supporting sustainable operational practices and global climate change mitigation and adaptation programme." "This first Climate Bond Certified corporate green bond out of Africa represents a major milestone in the development of the local green finance market. In addition to being an inspiration to other private companies, this leadership from Access Bank is critical for the long-term development of the green finance market in Nigeria and a great example for other African nations to follow." Congratulations to Access Bank for taking this pioneering step in the development of the local green finance market. The first Certified corporate green bond in Nigeria is a new landmark. Watch Ariyo Olushekun CEO, Capital Assets Plc., talking green finance in Nigeria at the Conference.